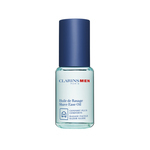 Smoothes, protects and moistures the skin after shaving. Fight excess oil and shininess. 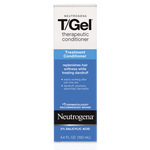 Helps protect against stresses and dryness by moisturizing the skin and maintaining the protective lipid barrier. For external use only. Discontinue use if rash, redness, or itching occurs. Consult your physician if irritation persists. Keep out of reach of children. After cleansing face or shaving, pour a small coin-sized amount into palm of hand and apply over face and neck. Use in the morning and/or evening. Suitable to be applied as a pre-shave before using an electric shaver. To use as a pre-shave, pour a small coin-sized amount into palm of hand and apply over face and neck. Allow to dry before shaving. 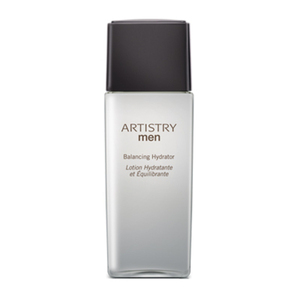 Re-apply Balancing Hydrator after shaving to maximize effects. Licorice and Horse Chestnut Complex , Shiso and Aloe Complex, Zinc PCA and Butyl Avocadate, Mushroom Glucan.